Powerslide Double-X 125mm - the new 3-Wheeler of Powerslide. The Double X 3-wheeler is equipped with 3x 125mm wheels F1 hardness of Matter connected with a Twincam ILQ 9 Classic bearing. The Boot is a typical Double X Boot - as usual flat cut, and thermally deformable with SHMR (Super Heat Moldable Resin). 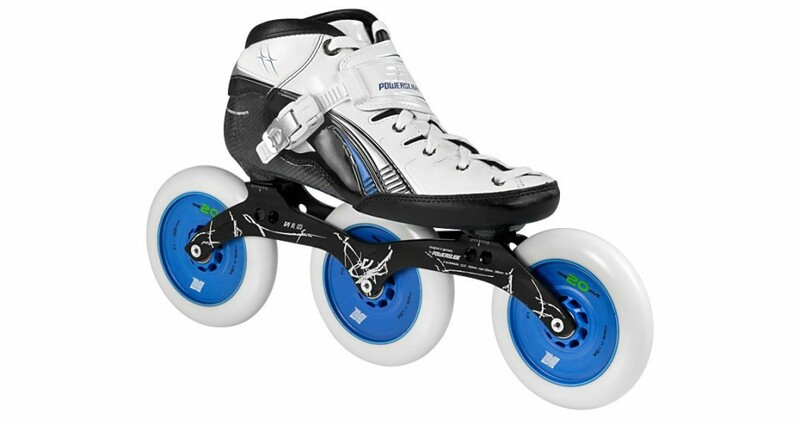 The new 3-wheeler pro speed skate is perfect for marathon races. 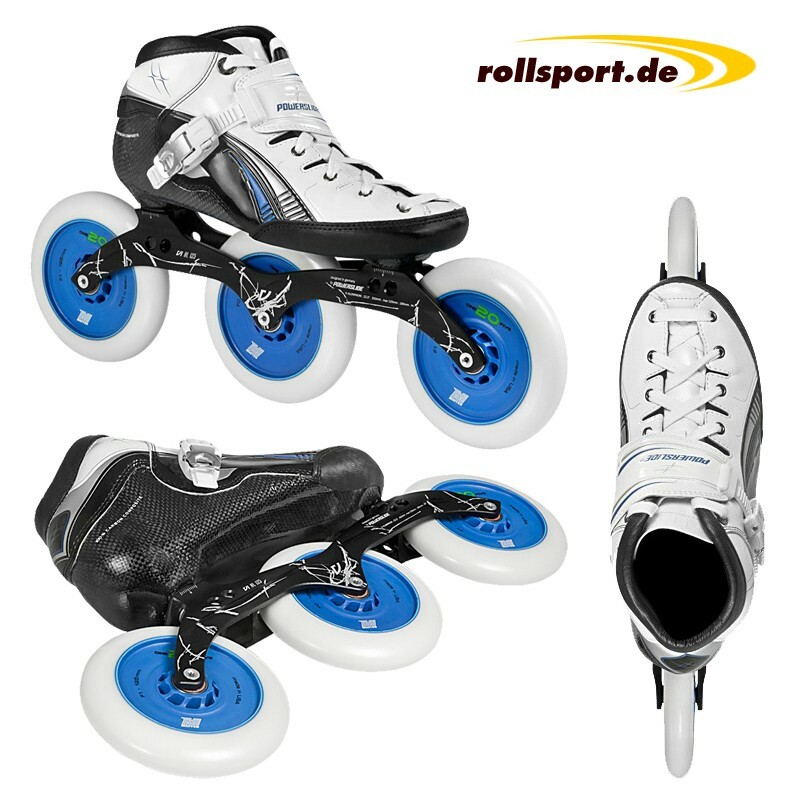 The inline skate is with the SMHR technology as often as heat mouldable. The inner boot is made of a super soft PU nano leather. Very soft and comfortable - at the same time also very strong and resistant. The new foam padding was strategically placed at key points such as the ankle, heel, and other tendon areas. The foam padding is exactly right to offer a secure and comfortable grip, but not too thick to disturb or to press. To ensure a good fit even after the lace, the skate is equipped with waxed laces, as well as an icon micro adjustable ratchet buckle. 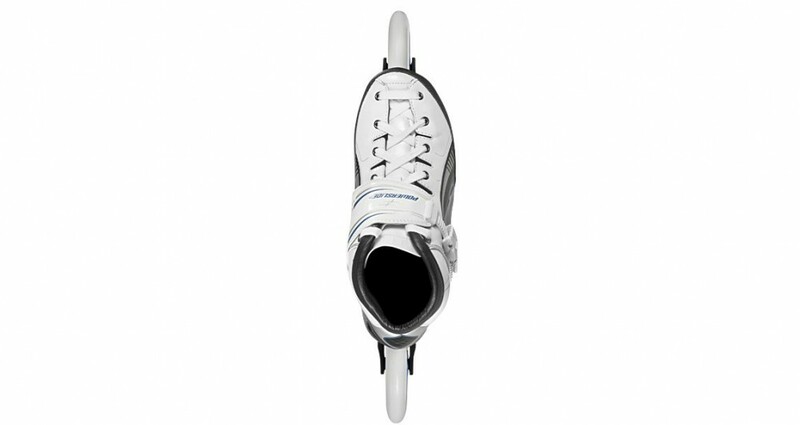 Thus, there is superb grip and stability in the boots, which in turn contributes to better power transmission. The term SMHR means that each part of the skate as often thermally deformed (max 100 ° C, 8 -. 10 minutes), as it is needed so that the skate is the perfect fit for your foot. The double extruded frame from Powerslide offer one of the strongest structures for racing skate frame and high-end fitness frames. 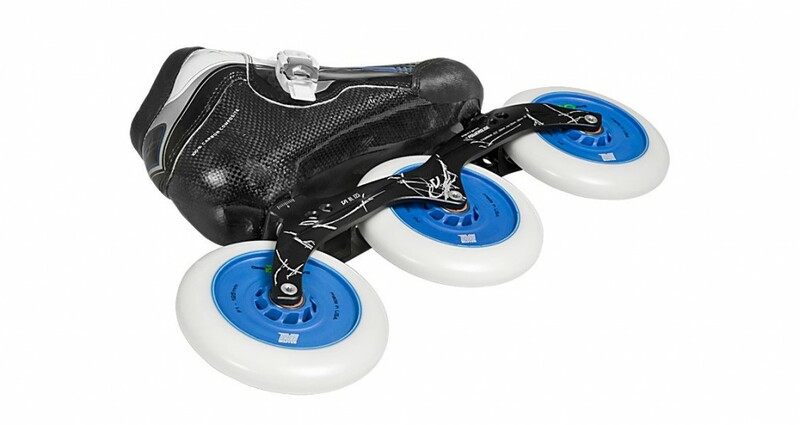 The Stride Control Technology is a small plastic piece that can be used between the boat and the frame, so that the skater either the state can be adjusted inward or outward. This can be avoided pain in the foot on the inside or outside. The Pitch Control is a small plastic piece that can be used between the boat and the frame, so that the skater on the heel has a higher level. Primarily characterized pain can be resolved in the foot. However, this can also be achieved higher speeds. The new ratchet buckle is much slimmer, flatter and lighter than most other buckles on the market. And what is more important - it is very easy to use and works even better. The 195mm hole spacing is the standard mounting distance This dimension is very important if another frame should be arranged on this boot.